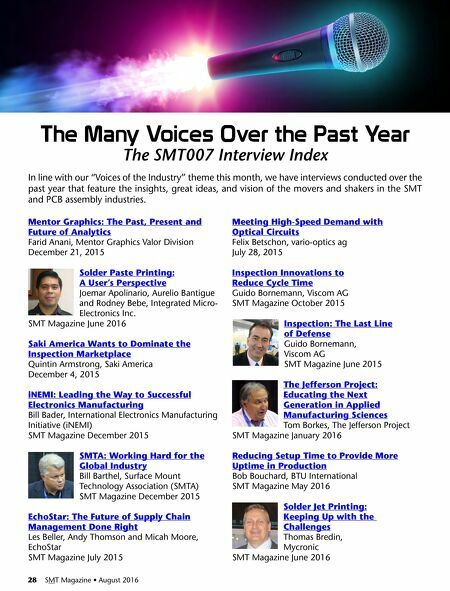 The standard for the Internet of Manufacturing (IoM) has arrived! 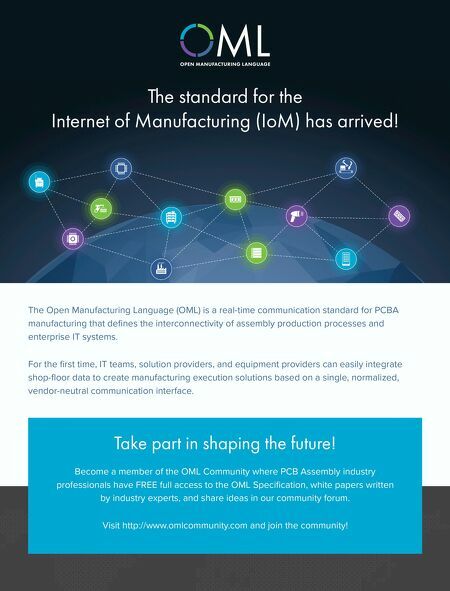 The Open Manufacturing Language (OML) is a real-time communication standard for PCBA manufacturing that defines the interconnectivity of assembly production processes and enterprise IT systems. For the first time, IT teams, solution providers, and equipment providers can easily integrate shop-floor data to create manufacturing execution solutions based on a single, normalized, vendor-neutral communication interface. Take part in shaping the future! Become a member of the OML Community where PCB Assembly industry professionals have FREE full access to the OML Specification, white papers written by industry experts, and share ideas in our community forum. Visit http://www.omlcommunity.com and join the community!